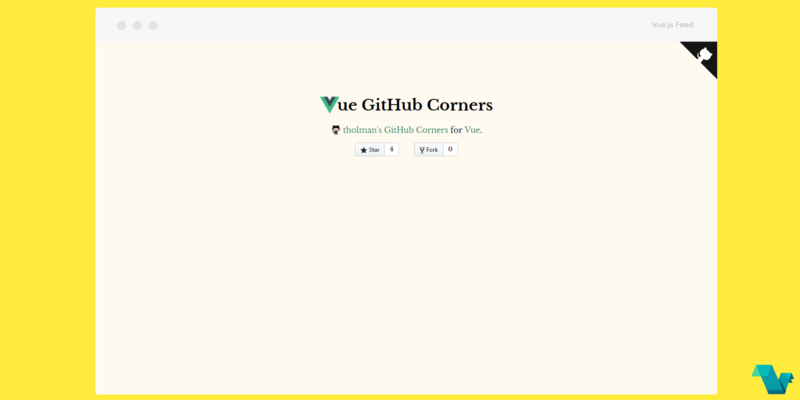 The Vue GitHub Corners compoenent, does what its title says, puts up github corners! It's like tholman's GitHub Corners but for Vue. To take a look at this simple demo go to https://gluons.github.io/vue-gh-corners/. The repo prop sets to the repo you would like to head when clicking the octocat and the colors can be set easily as shown above. Simple! The reposistory of this small project can be found here.